Our communities will enjoy local fun, talks, theatre, afternoon tea, a classic Halloween movie, walking tours, a doggie costume contest – and of course, our Halloween night Spooktacular Outdoor Event on Killarney Street and Sean MacDermott Street. Take your pick. There’s something for everyone in this year’s festival programme. Bram Stoker (author of Dracula) lived on Buckingham Street from 1858 – 1863. To mark the six years he was a resident of the North East Inner City, this year’s Big Scream Festival kicks off with a ceremony to unveil a plaque and mural at 19 Buckingham Street. Massey Bros will be present with their vintage horse-pulled hearse along with our resident Dracula, actor David Herlihy. The unveiling will be performed by the Lord Mayor of Dublin Nial Ring. A chance for older members of the community and friends to enjoy a cake decorating masterclass with pastry chef Louise Lennox, share Halloween nostalgia and meet Dublin City Historian, Mary Muldowney. Enjoy this Halloween classic with all the family. Treats for everyone. Donations welcome in aid of Temple Street Children’s Hospital. An evening of local fun for all ages in advance of Halloween Night. 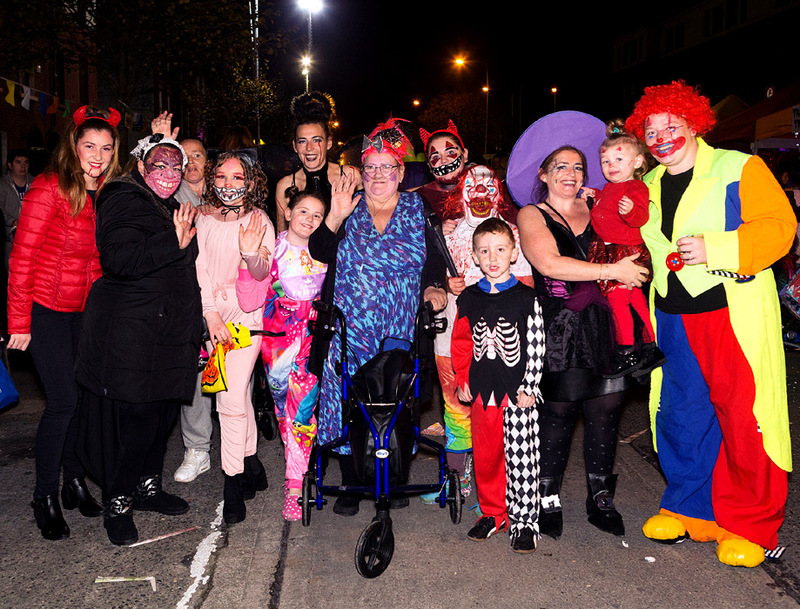 A evening of local fun for all ages in advance of Halloween Night. The Plot tells the story of the ghost of a 19th century suicided woman who returns to demand her rights to a grave and a decent place to rest. 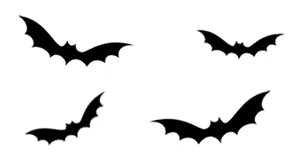 Up until the end of the 19th century, people who took their own lives were considered undead and were often feared as vampires in the after-life. These unwaked souls were buried directly into the earth and would often have a stake driven through their hearts to ensure they would not rise again. One of these unconsecrated plots located in Ballybough dates back to the 18th century. ‘The Plot’ exposes this chilling side of our history and examines the emptiness that emerges when we fail to live fulfilling lives. With dark humour and a re-telling of ancient myth, the play suggests that the darkness can be overcome when we are courageous enough to look it in the eye. This play has also been selected for the Samhain Arts Festival in Cork. Not recommended for persons under the age of 16. Today is all about dogs. It’s time for your pet to show off how pretty, unique, clever or lovable they are in their Halloween costume. Homemade or shop bought, cute or scary. Anything goes. Doggie prizes including pooch pampering at Missy’s Grooming. In 1858, as a wide-eyed 11 year old, Bram Stoker moved to 17 Upper Buckingham Street with his family. This part of Dublin was steeped in Gothic-style Folklore which had a big influence on young Stoker’s fertile imagination. Local historian and tour leader, Hugh McGuinness, will explore new research and take a fresh approach to old sources as he explains the impact that living here had on Stokers’ life. During this period, he began to compile ideas for stories, some of which would find their way into his masterpiece, “Dracula.” Stoker left the north east inner city in 1864 at the age of 17 to start his studies at Trinity College Dublin. Meeting Place: Suicide Plot. Corner of Clonliffe and Ballybough Rds. (opposite Clonliffe House Pub). Just how influenced was Bram Stoker by the Dublin of his day and can we find traces of Stoker in Dublin around us? Donal Fallon, Historian in Residence for Dublin City Council examines Bram Stoker’s city. Leeches were used for pretty much every medical ailment in the 1800s. Other gruesome treatments included swallowing poisonous substances and bloodletting, which was practised on Bram Stoker by his uncle when he was a small boy. Is it any wonder that he ended up writing Dracula, the most famous Gothic horror novel of all time, wonders Historian in Residence for Dublin City Council, Mary Muldowney. The unconsecrated burial ground at the crossroads of Ballybough Road and Clonliffe Road conceals a chilling side of our history. Who is buried there? Why are there no headstones? And how might what happened there have shaped Stoker’s famous character, Count Dracula? Playwright, Paula Lonergan (author of The Plot) reveals the story behind the Suicide Plot and how it influenced Bram Stoker’s most famous creation. Our Hallo-weenies will start the evening with a parade from Sheriff Street to Killarney Street where a special welcome awaits. Families will enjoy traditional fairground games, horse & carriage rides, as well as free treats and refreshments. And there’ll be a special play zone for smaller guests. The bucking pumpkin is sure to introduce a bit of competition. And so too will our gaming bus. There’ll be some sporty competition thrown in too! This year’s breath-taking ride is definitely not for the faint hearted. And our haunted houses will sure make you scream! Enjoy great music and dance. And don’t be afraid of our Love at First Bite Dracula Wedding – they just want you to have a bloody fang-tastic time! FREE EVENT FOR ALL THE FAMILY! Come dressed in your Halloween Costume!